Numero Uno Web Solutions (NumeroUnoWeb.com), a fast-growing Internet marketing firm that caters to medium- and large-sized business-to-business (B2B) and business-to-consumer (B2C) companies, is commenting on recently announced news from Google that the search engine will officially start to consider how mobile-friendly web sites are on April 21, 2015. He also notes that not only is it important for search engines like Google to make changes to the way they rank sites to better suit the needs of their mobile users, but it’s also important for Canadian businesses to ensure their web sites are designed to work seamlessly across various platforms: that includes desktops, smartphones, and tablets. Numero Uno Web Solutions, is one of the top Internet marketing firms due to constant innovation and overall customer satisfaction. 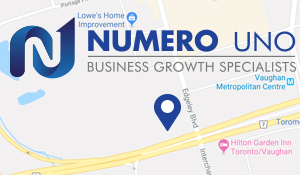 For more information on Numero Uno Web Solutions and to discover how it can help maximize a company’s search engine optimization and online presence, visit https://numerounoweb.com/sitescore/ or call Numero Uno Web Solutions toll-free at 1-855-SEO-XPRT (1-855-736-9778).